Yes, you read this correctly. I’m NOT writing. Deliberately. I’m itching to make a start. I have the first line in my head and I’d love to get going and see where it takes me, but I’m not allowing myself to do so. Because although I can write a short story with just the glimmer of an idea, allow it to take hold and just go with it, when it comes to writing something longer, the whole “pantser” thing has failed me. I have about five half-written novels languishing in my hard drive. They have each suffered the same fate. They started with an idea, they grew and developed, their characters became well-rounded and compelling, plot devices sprang up which promised to keep those pages turning…. And then about two-thirds in, everything went horribly wrong. The plot fell apart. The path to “the end” faded and then disappeared altogether. And I couldn’t get myself out of it. I thought I was a pantser, but it turns out I’m not. I need to plan. So this time, I’ve promised myself, things will be different. The initial idea for my current project actually came to me in a dream…. No, really! I woke up, and the characters were there in my head. Of course in the dream, it all made total sense and was already planned out – and then when I woke up, there was just the impression of the story which needed all the details filling in. So that’s where I am at the moment. Filling in the details. I’m currently researching the setting, pulling together all the backstory for each of the main characters, drawing up a chapter plan (horribly sketchy at the moment), and working out the plot. I’m determined that this time I will have it all planned in advance – before I so much as begin to write the first page. Of course, I’m prepared for the story to develop in ways I’d not expected, so it’s possible the plan will need some revision on the way, but the plan needs to exist at the outset. I know this isn’t the way that all writers begin a new piece of work – I know of many who say they just have an outline, start writing and see where it takes them. I wish I was like that, and who knows, maybe one day I will be. 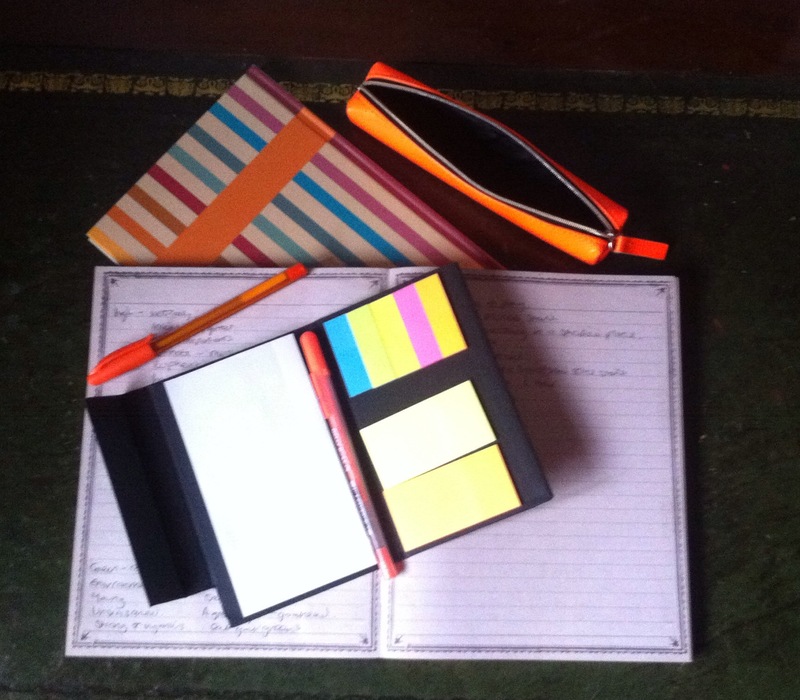 But right now, it’s me, a notebook, a pad of post-its, some highlighters – and a lot of time on Google! 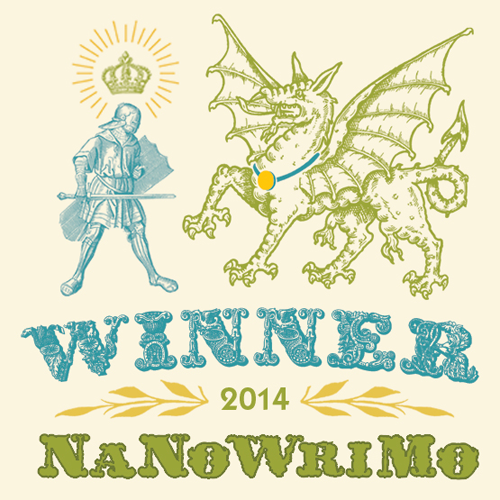 It’s been a bit of a slog, but today I’ve finished NANOWRIMO 2014 – with a day in hand – phew! The first scrappy rough draft of my novel (working title “With One Stone”) will now go into hibernation for a month, while I catch up with a month’s worth of life (plus Christmas shopping!). I’ve not yet read it through, but I already know it will be littered with contradictions and huge unexplained jumps in the narrative, but by the time I get round to looking at it again with a fresh eye in the new year, I hope I’ll be in a position to make it all fit together – somehow. At the bottom of this post is the draft blurb I wrote at the beginning of NANO – it’ll be interesting to see if the book turns out anything like the blurb! Oh, and just before I sign off and sag into a post-nano heap in front of the log burner, I’d just like to say thank you to Paul (OH) for putting up with NANO month, a house that’s even more untidy than usual, and even fewer meals cooked than he might reasonably expect. Having a supportive family really does make all the difference. I’m also going to thank my writing and reading friends in advance given that I will probably ask them for feedback on the first proper draft in the new year… Oh and finally, a mention for Mark Pearce from one of my writing groups, who undertook – and won – NANO this year for the first time. Congrats, Mark! Jonathan says it’s the perfect solution – they’ll rent the cottage in Wales for a few weeks. He can do the research for his new book (an exploration of the deterioration of the rural economy), and Caroline…well, she can have a much needed break after all that hassle with work and the redundancy. It’ll be great to leave the hustle and bustle of the city for a while – have a complete change of scene. But for Caroline, a cottage in the country, miles away from all her friends, and miles out of her comfort zone, might not be quite such a good idea. With her husband obsessively focused on his research, she finds she has too much time on her hands, too much time to think. When they accidentally stumble upon a long abandoned mental asylum, Jonathan’s work, and Caroline’s family history collide with terrifying consequences. So, it’s day 10, and the first flush of enthusiasm is over. You had some good days at the outset and you thought the whole process was going to be a breeze. But suddenly the words have dried up. Your characters are standing there, blinking at you, waiting for you to give them something to do or say. But you’ve drawn a blank. What do you do? Give up? No! Start something new? No! You just need an injection of new ideas. But where to find them? Fortunately, your brain is on your side. One of the qualities that is so appealing (and useful) about the mind is its desire and ability to make links, find patterns, add new knowledge to its existing store. You will know this from when you were a kid, worrying about something. As soon as something was on your mind, that thing, or things relating to it, would be everywhere around you – your teacher would mention it in class, you’d overhear a conversation relating to it on the bus, there’d be a telly programme about it in the evening. Had the world somehow discovered your secret fear and decided to taunt you with it? No, of course not. Was it all just spooky coincidence? Maybe. But more likely it was just that because you were already thinking about the thing, your mind was tuned in to finding new bits of information relating to it. 1) Stick the radio on in the car on the way to work or the supermarket. Listen to the news or any random programme – chances are you’ll hear something which links to your novel, or triggers an idea in your brain. Read the paper in your lunch hour. Not the main headlines – go to the smaller articles, the more obscure items. Or read a novel – preferably unrelated to yours. 2) Ask someone to give you a random word or a setting or an event which you have to weave into your daily word count. The apparent restriction will focus the mind and you’ll be surprised how you can shoe-horn in some completely bizarre idea. 3) Get out and chat to people you don’t normally talk to. Everyone has a wealth of personal experiences – a random anecdote could take your plot in a new direction. 4) Go on a course/listen to a talk/learn a new skill. Stimulate the mind. 5) Incorporate your writers’ group task into your novel. You won’t have time to write something new, but if you can build it into your word count, you won’t have lost anything. And chances are, you’ll have an interesting new slant on the topic area. The most important thing is to keep writing, even if you think it’s drivel, even if it’s not linear but something from later in the story – you can go back and fill in the blanks afterwards. Keep adding to that word count – that’s the only thing that matters. Day 1: Gulp. Blank page, always very daunting. And that vague sense that perhaps you should not have wasted October idly chatting about the possibility of doing NANO, or designing a mock up cover to upload to the site, but rather should have concentrated on building a proper plot line etc. But hey, we begin anyway. So far, 1920 words (satisfyingly coming up as 1930 words when uploaded to the site owing the vagaries of word count systems). I could stop here, or I could try to do more, thus building myself a nice fat “word cushion” (as a friend and fellow past-Nano-er has just described it) for the rest of the week when I’ll no doubt be much less productive. I am trying to keep the pace slow initially to give me time to develop character and storyline, but with sufficient hooks to keep the reader (and me) interested. This is the first year when I didn’t already have a strong feeling about the opening sentence or scene – so the first few lines were probably the hardest. Now I have a tone for the book, and a sense of place, and am slowly drip feeding little pieces of backstory info into the current narrative. So far so good. But I suspect there’s trouble ahead – probably somewhere around day 4 or 5! Kim & the Carnegie – an inspirational tale! Kim Slater, fellow MA student, and now successful debut novelist has had an amazing bit of news this week. Her book, Smart, has been nominated for the Carnegie award – the medal presented for an outstanding book for children and young people. There are 91 titles on the long list (to view them all, visit: http://www.carnegiegreenaway.org.uk/pressdesk/press.php?release=pres_2015_nom_announce_carnegie.html), each of which must have been nominated by a member of CILIP: the Chartered Institute of Library and Information Professionals, and judged against a specific list of criteria (given on the website). Notwithstanding Smart is a cracking read (for adults too), there’s something rather special about seeing a story which you saw from the initial idea stage blossoming into a fully fledged novel. Those of us in David Belbin’s Children’s & Young Adult Fiction Class will remember Smart when it was originally a 3,000 word piece. It’s a tribute to Kim’s hard work that it’s grown into such a success. I’ve been fortunate enough this week to attend two writing related events where I’ve heard from published authors – and there was one interesting common element in both. The first was a talk at one of my local writers’ groups from Catherine Cooper, author of the children’s series which begins with The Golden Acorn. Catherine has based the fictional world of her books on the Shropshire area where she lives and writes, and it was clear from the way she spoke about her work that for her it’s far more than just about the writing. Catherine, who was originally a primary school teacher, probably spends as much time marketing her books, designing and making props, drawing illustrations, and going into schools to work with children, as she does actually writing. She has an extremely strong online presence, with a website http://www.pengridion.co.uk/, Facebook and Twitter account – all of which she uses in an effective way to support her fiction, rather than as a jolly distraction from the actual task of writing. She is methodical about the way she deals with her emails (she gets about 200 a day from fans and so forth), and in maintaining her website, supported by links to social media. Having started by going down the self-publishing route, Catherine has always been energetic and determined in her approach to selling her own work – so that even now, in the luxurious position of having a publisher, she is still hard at work on the marketing side. The second event was the launch party for Kim Slater’s debut novel Smart. http://www.amazon.co.uk/Smart-Kim-Slater/dp/1447254090 Kim, who was a fellow student on the MA at Nottingham Trent, started out by writing a short story for our Children’s and Young Adult Literature module. We all loved it (something, I have to say, that was unusual – there’s none so critical as a fellow writer! ), and given such a positive reception, Kim worked on the initial idea, building it into a full length young adult novel. The launch was held in Waterstones, where Kim, despite some pre-speech nerves, carried off the evening with aplomb, giving a reading from the book, some background into how the novel had come into being, and finally a brief Q&A. Afterwards, everyone eagerly surged to pick up a copy of the book for Kim to sign, only to discover that there weren’t enough copies available. Kim had sold out on the first evening – pretty good going! So what was the common theme? Well, obviously the sheer amount of hard work which went into the journey from unknown writer to published author – the resilience in the face of umpteen rejections, the faith in one’s own work, and the length of time it takes to see a book finally in print. But there was something far more tangible which came up in both Catherine and Kim’s ‘how-I-made-it’ stories. At the outset, each of them had felt they had a strong idea for what should have been a good novel. Both of them sent their work to a number of agents, but despite some interest, they were not taken on. And both then paid for their work to be professionally critiqued. I suppose I’ve always felt the critique to be a bit of a con (let’s face it, it’s only as good as the view of the person who happens to be doing the critiquing) but what I’ve heard this week has changed my view. In both cases, the feedback from the critique was invaluable. In Catherine’s case, it helped her to separate out two competing plotlines in her initial draft, allowing her to re-write the book to achieve a much stronger finished story. In Kim’s case, the person who was doing the critiquing was so impressed by the manuscript that she passed it on to an agent directly – thus bypassing the notorious slush-pile, and ensuring that Kim was at last offered that long sought after representation. So, if I do ever get to the enviable position of having a decent draft novel, I too will send it off for a professional second opinion. Perhaps we are too close to our own work, and need a fresh objective eye to help us see the flaws. For both Catherine and Kim, this stage has helped them move from aspiring to published author – something they both deserve after much hard work. I was having a lot of trouble with the fine tuning, the last 10% which is always my downfall. I was stuck. I sent my first chapter to the lovely people at one of my writers’ groups (at the other writers’ group, they’ve already seen this chapter – they were there at the inception when I thought it was just going to be a short story!). I didn’t expect many responses – I’d only given them a couple of days to give me feedback – and I fully appreciate everyone is busy with their own lives and their own writing. But amazingly, I had lots of feedback. They’d spotted some typos and had the odd question here and there where bits needed tightening up. Best of all, they gave me lots of encouragement, a little boost to push me over the finish line. Never mind that I was having problems with a tricky bit of plotting, and trying to condense the whole into the dreaded synopsis. A bit of brainstorming with my long-suffering husband, and we found a way out of the muddle.